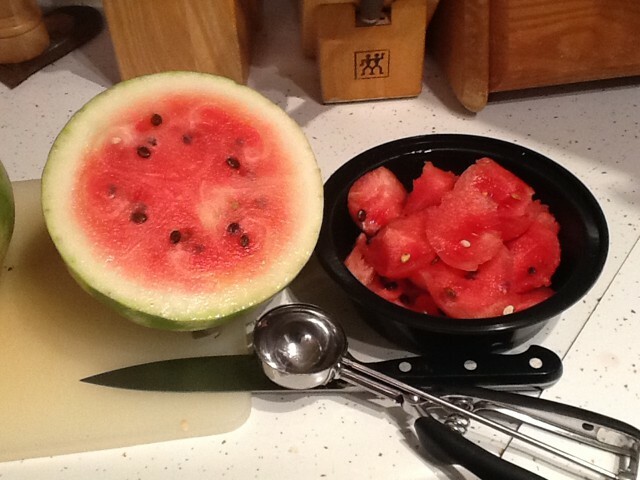 I hereby declare our watermelon attempt for this year a success! I had to throw two of the watermelons out into the forest as a sacrifice to the gods because they had split in last week's rain and were full of ants. But the other two that were ready were brought inside and are now resting happily in my tummy in the fridge. This page was loaded Apr 22nd 2019, 12:32 am GMT.